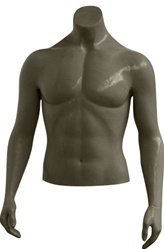 Child 3/4 Torso made of plastic. Our 3/4 Full Round Child Upper Torso comes in Fleshtone. It is made of durable plastic. Fits child sizes 12-14, XL. 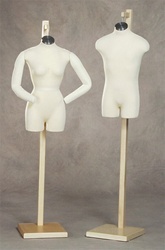 Comes with a metal base and rod, but can be displayed freestanding.